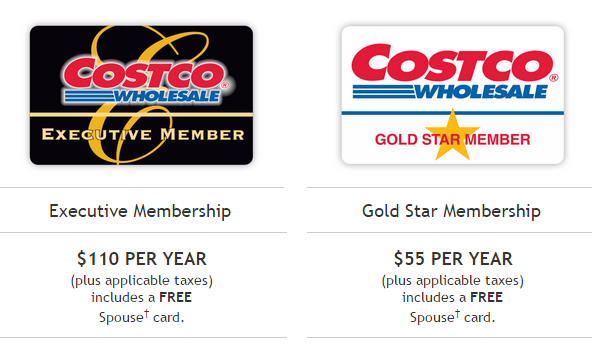 Are you a Costco member? Are planning to become one or are you about to renew your membership card? Whatever your situation is, you probably ask yourself which of the two membership options to choose from: Executive or Gold Star. Check the info below out to get a solid answer. Well, you will probably say there is a third option: the Costco credit card. For us, getting another credit card is not a good option. Not because we are in debt, but because managing multiple credit cards becomes a hassle and may get you in financial trouble if not monitored and paid on time. So, one credit card is more than enough. Luckily, my only credit card is a Mastercard that is now accepted in all Canadian Costcos. Since we are not opting for a credit card, we have a choice to get either the Executive or the Gold Star membership. The yearly fee needs to be either $110 or $55 plus tx. The question is which one to go for? Find the answer below. In our family we've had the discussion about the Costco fee and all arguments were dismissed after I presented these calculations. I said that the decision about the annual fee would be made based on our purchasing behaviour at Costco. 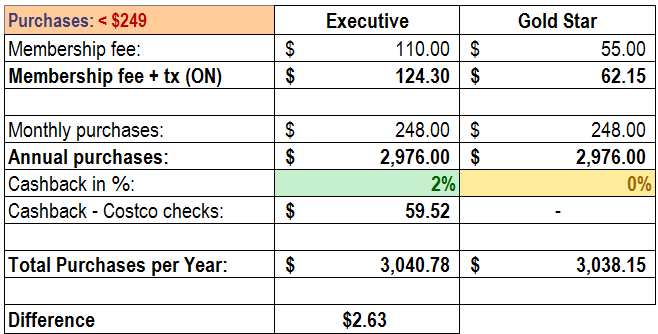 I checked all our expenses at Costco during the last 12 months. On average, we go to Costco twice a month and spend $275 per visit. This makes $550 per month or $6,600 per year (ouch!). 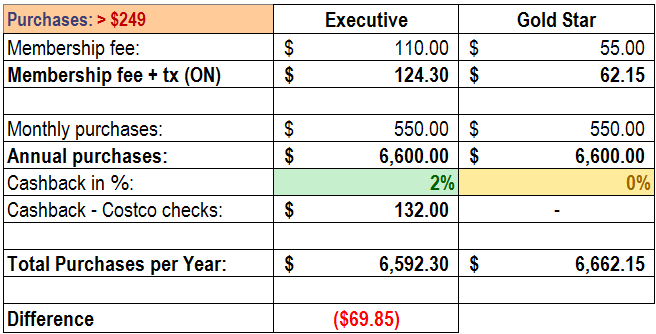 Then I took into account the 2% cashback applied on the Executive card: 2% cashback going up to $750 per year. The Gold Star card does not have this perk. The difference is calculated as follows: membership fee + taxes + total purchases per year - cashback amount. In my case it's more beneficial to stay with the Executive membership fee as I end up paying $70 less with the same purchasing behaviour. In other words, if you spend monthly amounts similar to mine, don't hesitate to go for Executive. So next time a Costco employee implores you to check your balance, just make your decision for upgrade based solely on your purchasing behaviour! Activia Challenge Contest is On!